Hello and welcome to this weeks Midweek Throwdown challenge! First things first! We have a winner from last weeks Digital Challenge, Robin H. you are the winner of the Wards Digi’s prize package! Congratulations, we will contact you soon! 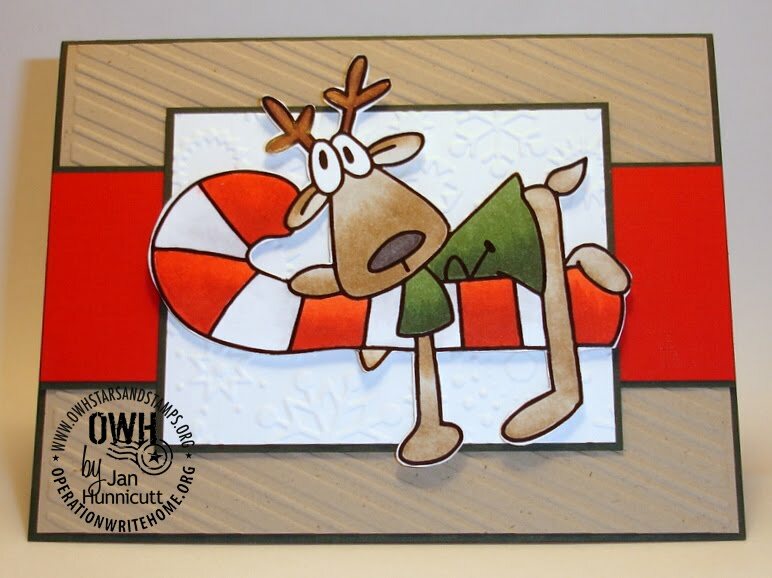 Our challenge this week is Christmas In July, we challenge you to make a Christmas card for one of our heroes to send home. Our sample card this week was made by me (Jan), there are two more cards that go with these on my blog She's Gone Stampin' if you’d like to take a peek. EDITED TO ADD: We have another generous prize donation this week for your Christmas card making good times! The prize winner will be announced here next Wednesday when the new challenge is posted! cute cards - how about halloween that is what I made last night. Thanks for this throwdown, Jan! I'm packing Christmas cards early!! Love how your red paper on both cards makes that terrific image pop! Those reindeer have lots of personality! Oh my gosh those reindeer are making me LOL :) I love them! This looks like fun! Can't wait until I get another chance to card!!!!!!! 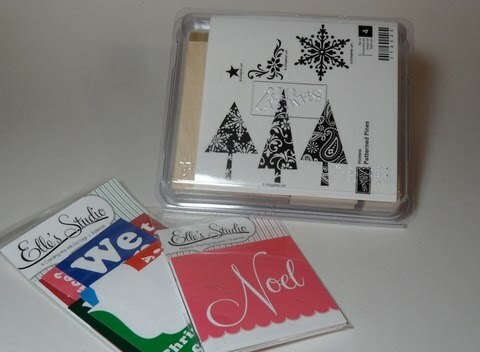 These cards are oh so cute, I will have to dig out my Christmas file. What fun! A perfect time to start creating Christmas cards. I love the reindeer...so cute! Hope to get a lot more Christmas and Halloween cards done this weekend.